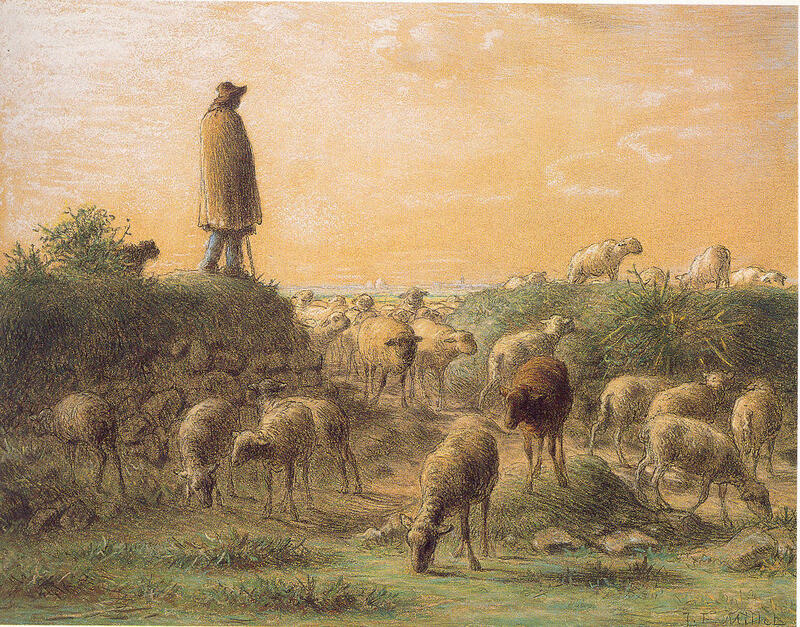 Jean-François Millet (French, 1814–1875). Shepherd Minding His Sheep, c. 1863-66. Pastel, conté crayon, and pen and ink on dark buff wove paper, 14 3/4 x 19 in. Frick Art & Historical Center, Pittsburgh, 1984.5.